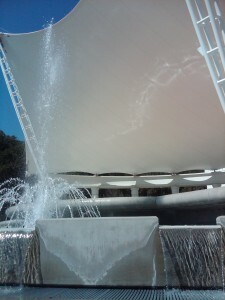 Today, I spent my lunch break relaxing near the bandshell in Forsyth Park. 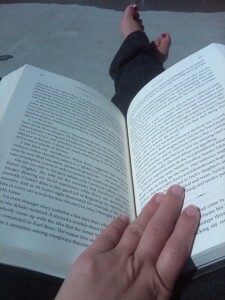 I spent my hour enjoying the beautiful day, while reading a book, Decision Points to be exact. After this lovely day, it is a definite that I will be spending many-a-lunch breaks in Forsyth Park. The solitude and serenity makes for the ideal, mini break. And, it’s this perfect location that will help me gain the lead on my Race to Read. Check out a couple of pictures I captured while I was out. The white, backdrop is the Forsyth Park bandshell, it’s used for popular concerts and performances in the park. It’s one of the new features to the historic, 30-acre park. I’m sure the many, upcoming visits will provide more pictures. 23 Feb ’11 Filed under Savannah Adventures. Bookmark the permalink. Post a comment. Leave a Trackback (URL). How about this 6.5 LBS?! Wow! What a catch?! This one here is an 8 LB-er! !